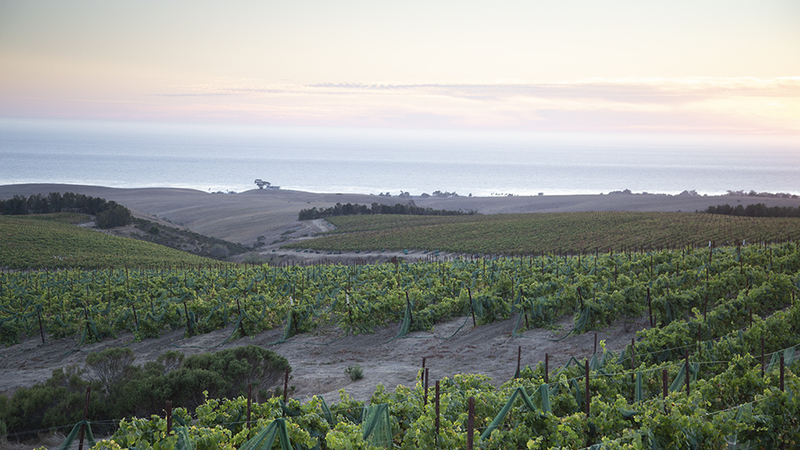 The greater San Luis Obispo County winegrowing region is best known for the mostly brawny, high-octane Rhône-variety-based wines of its famous AVA, Paso Robles, but the elegant and energetic wines from its cool, Pacific Ocean–influenced vineyards are increasingly making their case in the market as well. While Paso Robles has been garnering plenty of trade and consumer attention in recent years, the wines of greater San Luis Obispo County have been steadily gaining in quality while also slowly emerging from the shadow of their more famous neighbor to the north. Less than a decade ago, the region was home to just a handful of well-known producers, but that has changed. The sheer number of high-quality wineries and the wines they produce means that the area necessitates and, most importantly, deserves its own coverage. In marked contrast to the opulent wines of their San Luis Obispo neighbors in and around Paso Robles, most of the wines from the San Luis Obispo area – especially the Edna Valley (just south of the city of San Luis Obispo, and, by the way, the coldest American AVA overall) – enjoy, if that’s the right word, a stronger influence from the Pacific Ocean’s chilly winds. Cool-climate varieties, obviously, are the norm throughout most of the region, with Chardonnay and Pinot Noir leading the way, but there are noteworthy exceptions – namely, smatterings of Rhône varieties here and there (readers are well aware that John Alban’s pioneering Alban Vineyard is the source of some of the best examples of Rhône-variety-based wines in the New World). Top-notch examples of Riesling and even Grüner Veltliner are slowly beginning to emerge, and Bordeaux varieties have long been planted here, though the wines they produce tend to show more leafiness and green character than I prefer, especially when compared to the higher-impact, riper renditions made up in Paso Robles. The soils in the region are primarily sandy uplifted seabeds on the far coast, limestone, gravel and, further inland, clay loam. Both Pinot Noir and Chardonnay here tend to exhibit racy personalities, offering good depth but typically less fat than one finds in most examples from the nearby Santa Maria Valley and even parts of Sta. Rita Hills, with that region’s coastal-influenced sites, near Lompoc, being obvious exceptions. 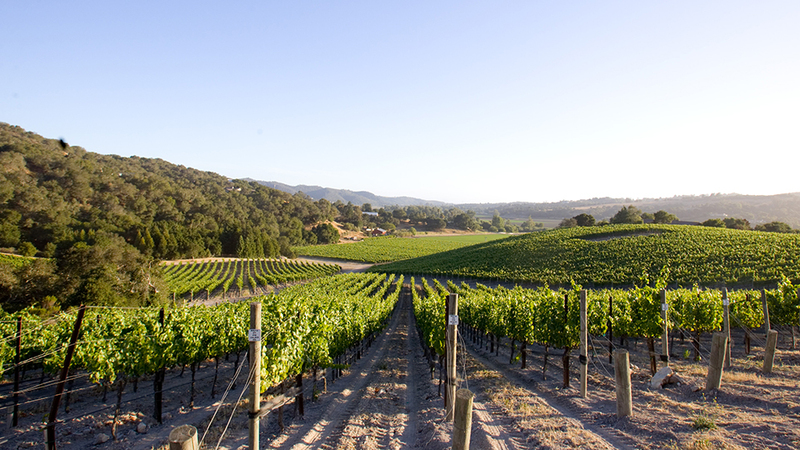 The San Luis Obispo area is rich in sandy soils and varied expositions and enjoys the additional benefit of a long, historically weather-event-free growing season that mitigates many of the maladies (notably frost damage) that plague many other cool winegrowing regions around the world. As one might expect from a generally cool climate, the typical style of most wines here, white as well as red, favors restraint and definition over power. High sugar levels are difficult to attain thanks to the geography and climate, so alcohol levels tend to the low side. Overt use of new oak and high-extraction winemaking are also rarely practiced here, and even most entry-level, (relatively) high-production and value-driven wines tend to show a distinct and welcome light touch. For now, San Luis Obispo County’s winemaking is mostly the work of small, often family-owned wineries, and production, as might be expected, is often on the low side per individual producer. Yes, there are a growing number of wineries here, but a quick glance at case production numbers reveals that the wines aren’t going to be found everywhere. There’s also the simple matter of where most of these wineries are located; most of them are pretty removed from other nearby Central Coast regions that enjoy regular tourist traffic. While the university town of San Luis Obispo is now home to a handful of tasting rooms, it’s still a far cry from the activity one finds in Lompoc, Buellton, Los Olivos and, of course, the greater Paso Robles area. That’s kept things quiet, and most of wines have flown under the radar until now, but I suspect that their increasing quality will steadily help the producers shed some of their anonymity. Up and down the Central Coast, the El Niño–influenced 2016 vintage finally brought healthy amounts of rain following four years of drought. Weather was generally cool, with no real heat spikes. Vines responded by producing fruit that was perfectly ripe, with sound acidities and relatively modest sugar levels. Yields were around historical averages for the area (which means higher than from the recent drought years), and the resulting wines, as a group, show excellent flavor intensity without excess weight or, in the case of the red wines, strong or overt tannins. Thankfully for growers throughout San Luis Obispo County, 2015 marked the conclusion of four straight years of meager to virtually nonexistent rainfall. While the wines are mostly quite concentrated as a result of low yields, they also tend to exhibit bright acidity and thus good freshness. These are wines that I think will deliver plenty of pleasure throughout their lives, with lush fruit to enjoy on the young side but plenty of structure and cores of energy to reward patient cellaring.